Tesla has confirmed it delivered its 200,000th vehicle in the U.S. this month, meaning the phase-out of the $7,500 federal electric vehicle tax credit prospective customers can take advantage of has begun. By Jan. 1, that amount will be cut in half. 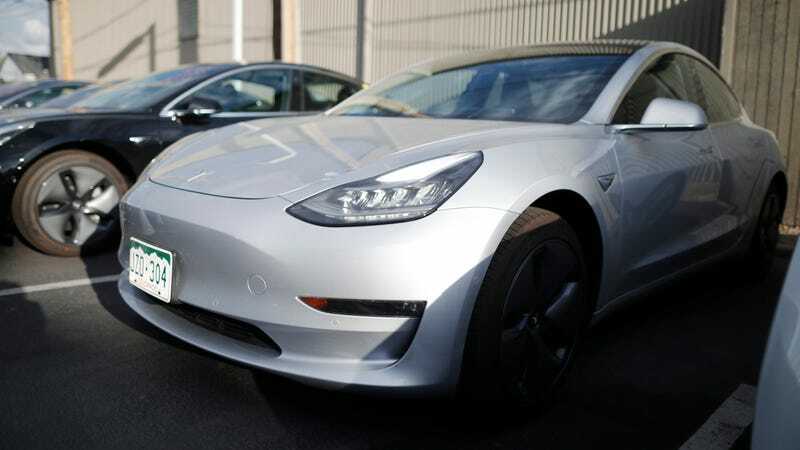 Jalopnik reported on Wednesday that Tesla wouldn’t comment on whether it reached the EV credit ceiling, leaving the question to intense speculation. Confirmation came by way of Tesla’s vehicle incentives support page where a change appeared in the early hours of Thursday. Tesla’s site now says that any customer who takes deliver of a vehicle on or before Dec. 31 is eligible for a $7,500 tax credit. From there, the phase-out period begins. A Tesla spokesperson didn’t immediately respond to a request for comment. Tesla’s the first automaker to reach the 200,000 vehicle ceiling, and other automakers have thrown their weight behind policy ideas to expand the credit. General Motors, in particular, supports the idea, and it would likely be the next automaker to hit the threshold. The phase-out for Tesla was expected, but it’ll leave some of the 420,000 customers in line for a Model 3 at the entry-level $35,000 base price out of luck. The base model isn’t expected to arrive until 2019 at the earliest.